This week’s issue of Weekly Famitsu magazine #1550 includes a 10-page feature on Persona Q2: New Cinema Labyrinth, and information from it has been leaked, following the preliminary details revealed via the product listing for the game. New character Hikari (white hair, dressed in black) will be voiced by Misato Fukuen. New character Nagi (black hair, dressed in white) will be voiced by Kikuko Inoue. 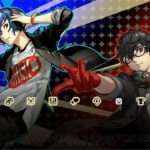 Unlike in the previous game, there will be no route selection based on the characters from which Persona game players want to follow. Persona 5 will be the focal point. 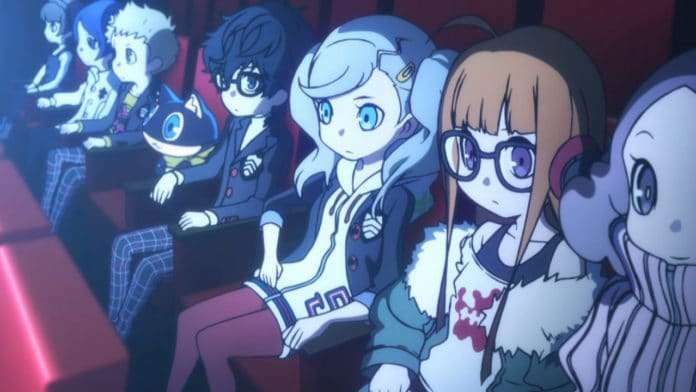 By focusing on P5, the relationship between characters and the story could be improved and have more of a focus instead of separating the story into two paths. 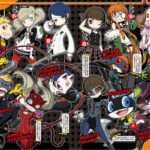 Encounters between the characters are linked to Persona Q: Shadow of the Labyrinth. 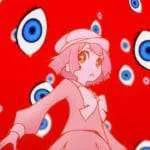 The male and female protagonists of Persona 3 are not selected at the start of the game, as both will be present at the same time, crossing over in the same story. The female protagonist will be significantly involved in the story. The story is completely independent, so even those who did not play Persona 5 or see its anime adaptation will be able to enjoy it. 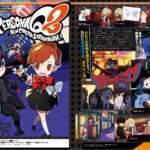 There will be a total of 28 playable persona users, organizing a party of five to battle enemies. The main protagonist can be removed from the active party. The original characters will have a different role from participating in battle, unlike last time with Rei and Zen. 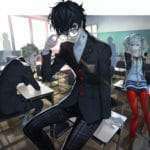 A new mechanic involves party members being equipped with a second persona (sub personas), which can be summoned in battle. Because the game’s story is centered on the protagonists of Persona 5, the battle background music is P5 themed at the beginning. However, as members of Persona 3 and Persona 4 join the party, the variations in music will change. Planning and development for the game entered full production after the completion of Persona 5. The feature includes an interview about the story with producer Daisuke Kaneda. He was the director of Etrian Odyssey IV: Legends of the Titan. The composer will be the same as the one for Persona Q: Shadow of the Labyrinth: Atsushi Kitajoh. The game’s development is 80% complete.